Question: what is better than getting a bread machine for Christmas? 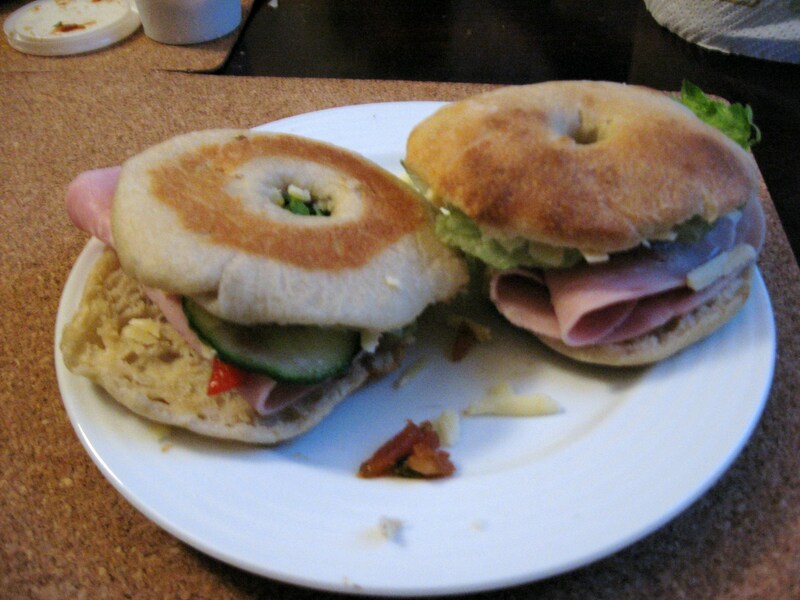 So, just so we can see what Ali K missed… hit more for some fresh bagel action. The finished article. Now, that's what I call lunch. ... and yum. 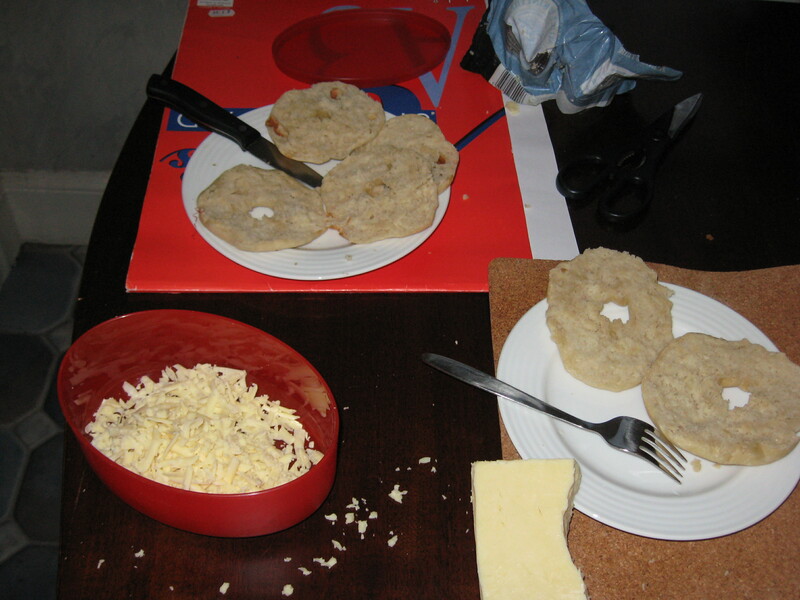 Editor's note: please note that Louisa did not eat the bagels in the previous picture, as she is vegetarian. No animals were harmed in the eating of her lunch. This entry was posted on Saturday, January 10th, 2009 at 4:16 pm and is filed under General. You can follow any responses to this entry through the RSS 2.0 feed. You can leave a response, or trackback from your own site.